Happy Thursday lovelies! Or what I like to call Friday eve. This week has just flown by for me! In fact, the entire month seemed like it did. The Nordstrom Anniversary Sale is still going strong and I am seeing a few restocks which is awesome! 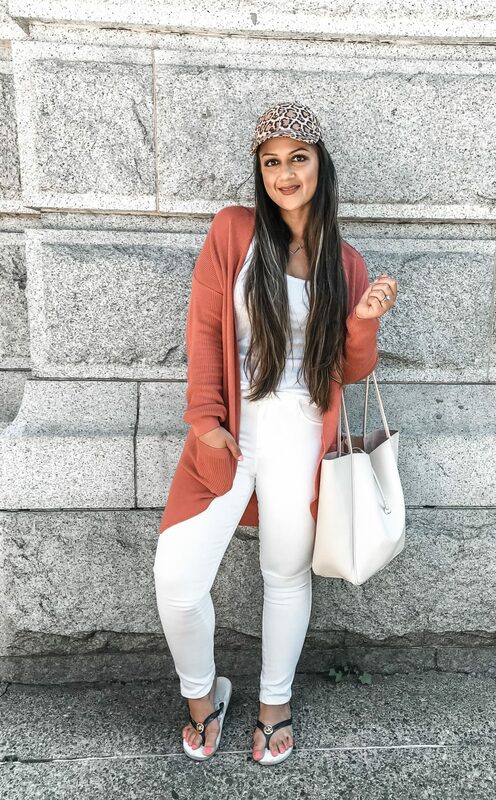 This popular cardigan is still available in a few colors and sizes. 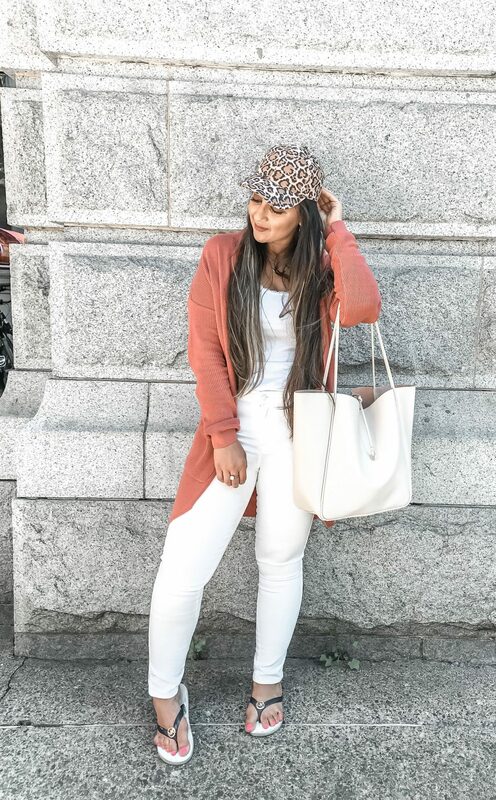 I love that you can style it with pretty much anything and will be a perfect fall closet staple. I bough it in a couple colors and I think I’ll be getting the black one too cause it’s just that good! 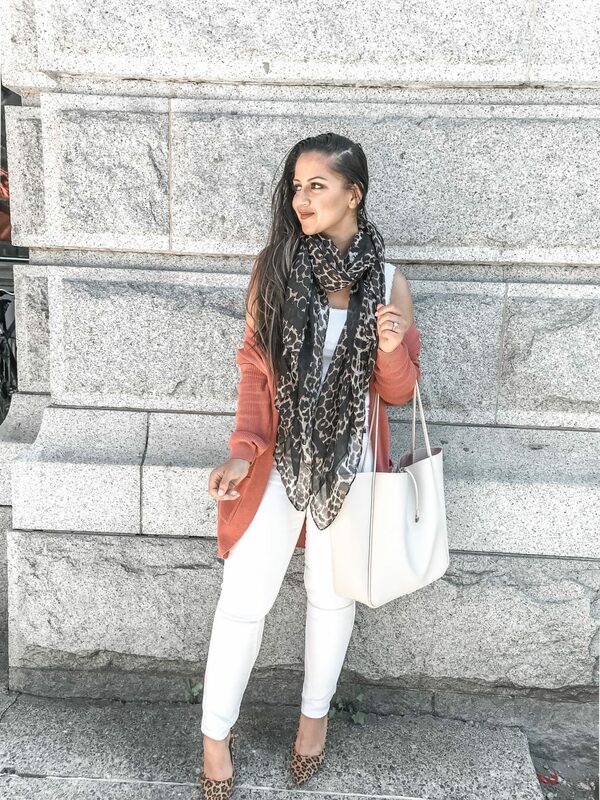 I am sharing two ways to style this cardi. Basically my everyday uniform! 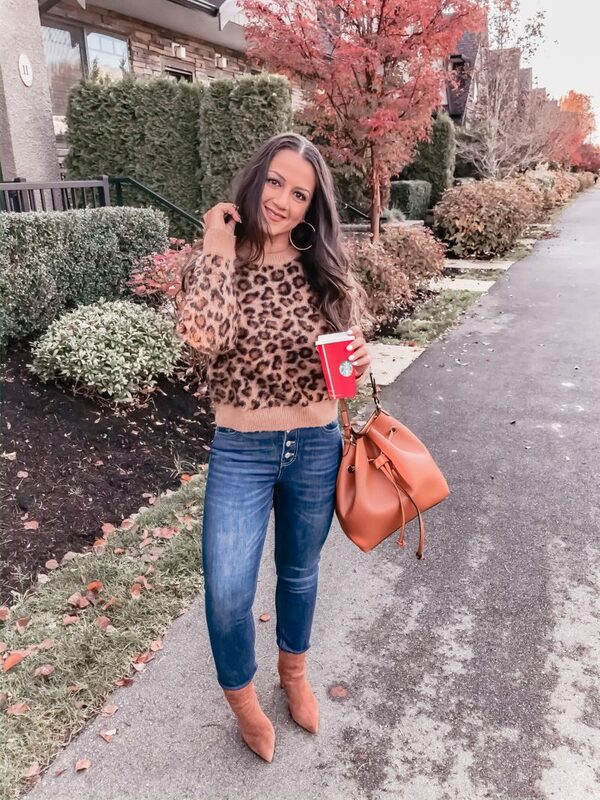 Ben and I are always out running errands, grabbing lunch or shopping for the blog and this is what I am most comfortable in and feel chic at the same time! 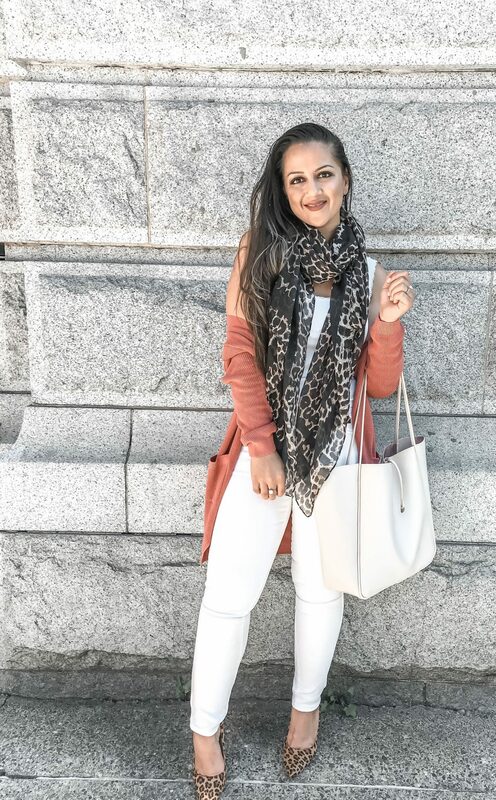 I love to wear white in the summer and fall and these white jeans have been my faveeee. (Only $10 too! Whatt?!) I threw the cardi over a basic white tank and completed the look with a ball cap cause #gymhair. I picked up this bag last weekend and it’s seriously the perfect everyday bag! It’s big enough to fit like everything. My sisters and I love to have a couple girls nights a month and I always putting on my heels and dressing up my everyday basics! I like to look cute but at the same time I want to feel comfortable too. 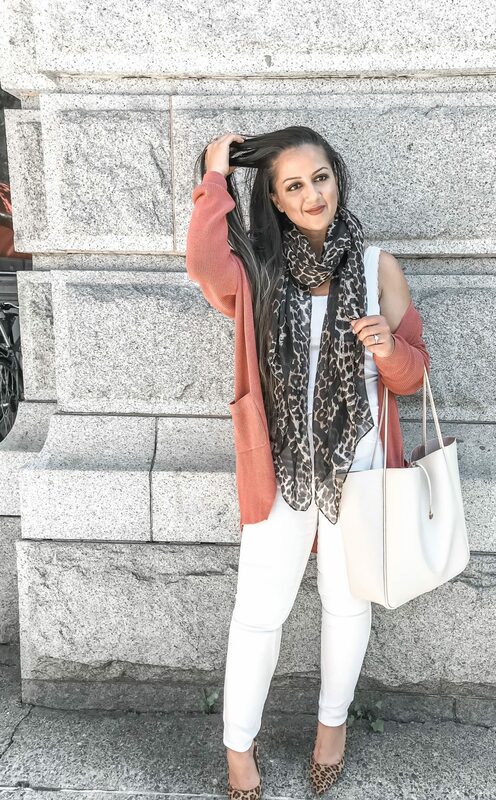 All I did for this look is swap out my flip flops for heels and added this leopard scarf (it’s super light!) As you can see, this bag goes perfectly with this look as well!